Lenox Square adding local shops and eateries. Lenox Square, the posh Buckhead mall known to many for having the only Atlanta area locations of such stores as Salvatore Ferragamo, Cartier and Burberry is adding a number of local tenants to its roster. In addition to the previously announced Sweet Hut, which is slated to open this summer in the Fashion Cafe, the mall will also welcome pop-up locations of Elk Head Clothing and The Merchant. 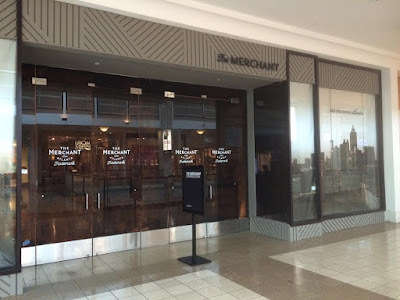 The Merchant, owned by entrepreneur Dan Collier and described as a "curator of giftwares, stationary, and vintage goods," will open on the second floor of Lenox Square in the space recently vacated by The Limited. The Merchant currently has two locations: on the Westside, which opened during fall 2013, and in Krog Street Market, which opened during fall 2015. Collier's other retail endeavors include Archer Paper Co., Read Shop, Collier Candy Company and later this year, Collier’s Department Store at the Atlanta Dairies project on Memorial Drive in Reynoldstown. As described on its website, The Merchant is a curated assortment of goods unlike typical mall-based chain retailers. "Our collections range from greeting cards and stationery to books, bedding, candles, and truly one of a kind vintage finds. We source items from all over the US adding merchandise weekly to the shop." 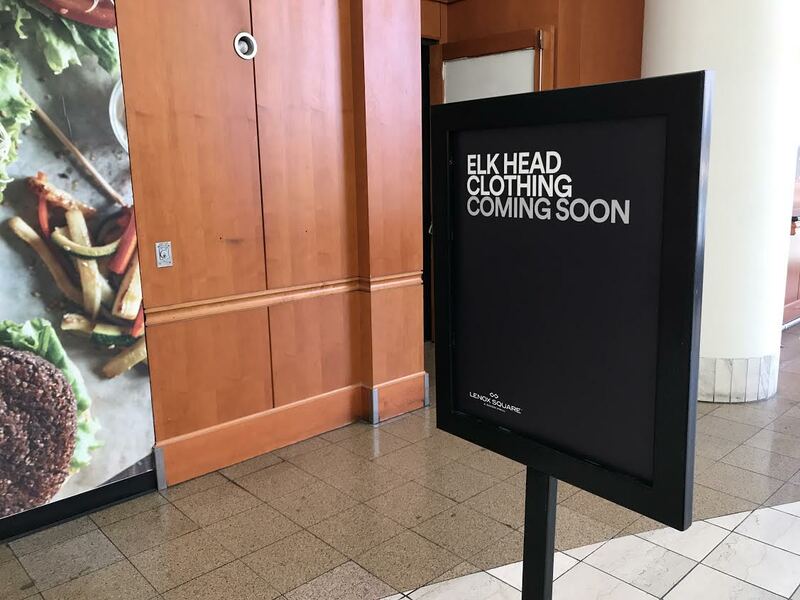 Elk Head Clothing will also join Lenox Square in a 1,500 square foot portion of the former Prime restaurant space on the second floor at the front of the mall. Offering menswear and accessories, Elk Head's location adjacent to popular womenswear retailer Anthropologie should serve it well. Elk Head's flagship location opened last spring at Ponce City Market after the brand was originated as an ecommerce business in 2015. "Elk Head Clothing is the new rugged, refined. We strive to give you an alternative to the classic style often found in big box stores." Launched in 2015 by Michigan native Garrett Hilgendorf, "Elk Head Clothing blends expert tailoring with timeless fabrics in a well-edited collection of menswear essentials." The Merchant and Elk Head join Crafted, a real life etsy of sorts, that opened adjacent to Bloomingdale's for a holiday pop-up last year and since extended its lease. Crafted has two locations on the Westside, in The Brickworks and Westside Provisions District, and at The Forum in Norcross. I spoke to Carol Cox, ‎Area Director of Marketing and Business Development for Lenox Square and Phipps Plaza about the upcoming openings at Lenox Square. Local entrepreneur Farshad Arshid and his Standard retail shop joined the mall in 2008 while Babiators, an Atlanta based baby sunglasses retailer, tested its concept at the mall in 2014 via kiosk. Buckhead Life's Atlanta Fish Market actually originated at Lenox Square in 1981 before relocating to its current Pharr Road location in 1993. Cox added, "Lenox Square has a long-standing tradition of evolving to attract the best retailers possible; the ability to continually bring new experiences to guests has cemented the mall’s reputation as the premiere shopping destination of the Southeast." Cox anticipates that all of the upcoming openings at Lenox Square will occur by early summer. Over at Phipps Plaza, however, the expected "mid 2017" opening of Fifth Group's Ecco restaurant has been pushed to "2018." Daniel Reed's Public Kitchen & Bar, from Savannah's Daniel Reed Hospitality, will occupy about half of the former Twist space, and should open before the end of the year. 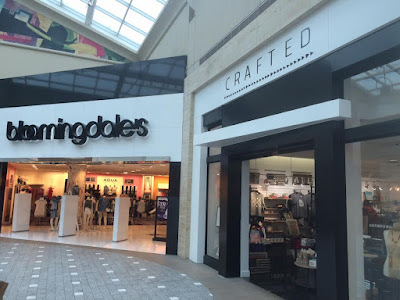 Are you excited about the openings and upcoming openings at Lenox Square and Phipps Plaza? What local retailer or restaurant would you like to see open in either Lenox Square of Phipps Plaza? What is your favorite shopping destination in metro Atlanta? Why? While I personally think the new merchants sound very interesting I wonder if they’ll last. I suspect the rent is fairly high and I wonder if they’ll get enough business to justify the cost. I suspect that the mall and the merchants themselves are approaching this as a temporary relationship, but who knows.